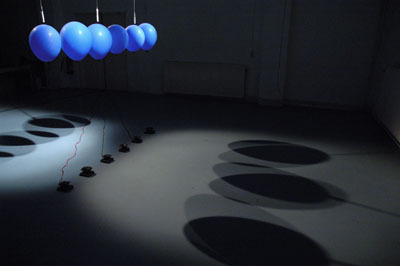 Martijn Tellinga (1974, Netherlands) is a composer of media, acoustical installations and electronic music. His work renders an ongoing meditation on the rudimentary condition of the sonic arts. He aims to establish an artistic idiom that draws on the exploration of the parameters of composition and performance as working materials for an autonomous practice in sound. A practice defined by attitude over means. It includes a wide variety of conceptual actions and aleatoric operations. He received a Master's degree in Sonology, studying with with Paul Berg and Kees Tazelaar. In 2008 he received a 2-year scholarship from the Netherlands Foudation for Visual Arts, Design and Architecture. He performed and exhibited his work in over 20 countries worldwide. He worked in residence at a number of institutes and collaborated with a.o. Jonny Axelsson, James Beckett, Jeff Carey, Dextro, James Fulkerson, Sagi Groner, Robin Hayward, Sami Kallinen, Jan Robert Leegte, Jon Mueller, Koen Nutters. He performed works by Tudor, Nono, Xenakis, Raaijmakers, Lucier.